2016 LPR Global Technology Forum is covered by Manufacturing; an excerpt from the article is translated into English below. Mikah Lee, CEO of LPR Global, exemplifies U-Jin Tech, a friction welding machine manufacturer in South Korea, as a successful globalization case on October 20, 2016. SEOUL, SOUTH KOREA, December 1, 2016 – The 2016 LPR Global Technology Forum, held last month, heralds the question on how small to medium-sized companies can remain competitive against fierce global competition. The forum presented 3 cases — IT applied to manufacturing process (smart manufacturing), using disruptive technology for conventional manufacturing, and global sourcing. 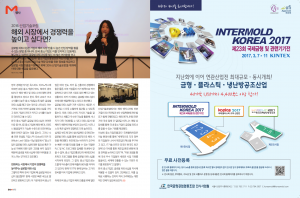 Ms. Mikah Lee, CEO of LPR Global, says, “Korean small to medium-sized companies consider global partnership very difficult and not possible for them. 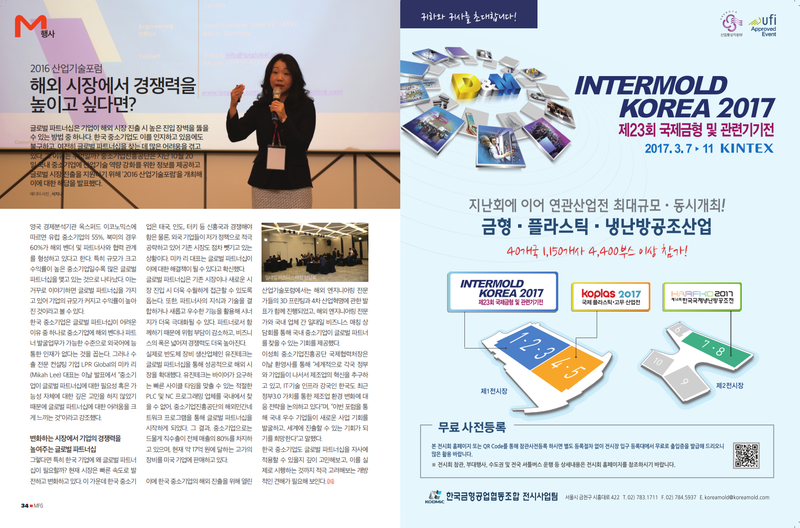 However, global partnership not only helps Korean companies reduce their manufacturing costs but also helps equip them with exceptional skill sets or expertise that’s hard to find in the Korean market.” At the LPR Global Technology Forum, U-Jin Tech’s case was presented as successful global sourcing. U-Jin Tech was able to meet the requirements of a global client by hiring software expertise in Poland, instead of Korea. While building a fully automated CNC double-headed friction welding machine, U-Jin Tech originally hired electric programming expertise of Siemens NC and PLC systems in Korea, but had a hard time with its Korean programmers. U-Jin Tech eventually asked LPR Global to look for a company with Siemens programming expertise in the overseas market. LPR Global introduced a Polish engineering company to U-Jin Tech and the Polish company helped reduce the machine manufacturing time significantly. About LPR Global, Inc. LPR Global is a strategic consultancy headquartered in Toronto, Ontario with affiliated operations in the United States, South Korea, and Germany. Founded in 2001, LPR Global is sponsored by the Korean Federal Government and has been the winner of the Premium Consulting Services Award presented by the Small and Medium Business Administration (SMBA), a Korean Federal Government Agency, for the last five years consecutively. LPR Global owns the largest North American consortium of Korea-based machinery and industrial part manufacturers, and operates a highly successful advisory, business development and consulting firm that connects North American enterprises with leading Korean manufacturing partners in the automotive and energy industries. Copyright © MFG Inc. All right reserved.